Like any industry, the International freight shipping industry always keeps a close eye on supply and demand. For example, this could include the supply of ocean vessels to meet the demand of the shippers and their volumes of cargo. Major accounting firm Moore Stephens released their Shipping Confidence Survey a few weeks ago. After surveying industry experts, it seems that there are two big issues that worry ocean container carriers everywhere. First, there is a concern about freight shipping rates. But the bigger concern is with overtonnaging. 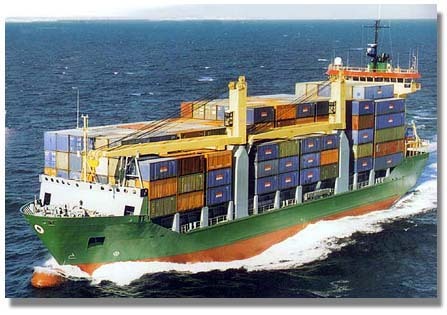 This refers to having more vessels on the ocean that is needed for the current volume of cargo available. Tonnage of course means the capacity of space on an ocean freight ship. If there is too much empty space on the vessel, then that is overtonnage, and carriers do not like that. It means that money is lost and the industry suffers. Even freight forwarders do not like overtonnage for the same reasons. The cost of operating ships with empty cargo space can hurt the shipping industry. Some shippers might ask why does the industry allow overtonnaging to occur? Part of the reason stems from the current market. Part of the reason also results from the constant building of new vessels to go out in the ocean. These new vessels include larger ships that can hold greater capacities of cargo. If the market is not ready for the extra cargo space, then we have an overtonnaging problem. Hopefully the industry can overcome the problems of overtonnaging.